Farley Rezendes, a member of our customer service team back in the 1990s, is a dedicated baker and pizza lover. 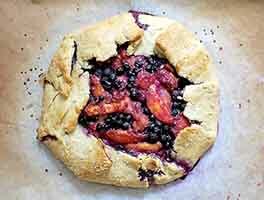 The clever use of cheddar cheese and cider in the crust add interest and color, making this a truly prize-worthy pie. To make the crust: In a large bowl, mix the flour, butter, shortening, cheese and salt until butter and shortening are just slightly incorporated. Do not overmix, or the crust will be tough. Add 1/2 cup cider or juice to the mixture in the bowl. If dough doesn't come together well (the flour may be dry, depending on the weather), add the other 1/4 cup of cider or juice. When the dough comes together, wrap it in plastic wrap and chill for 1 hour. To make the filling: In a large bowl, fold together, by hand, the apples, cornstarch, sugars, cinnamon, nutmeg, allspice, mace and lemon juice. Let stand 30 minutes. Roll out half of the dough to make a bottom crust, and place it in a 9" pie pan. Mix together the egg and water until completely combined. 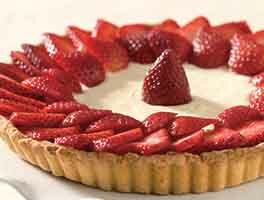 Using a pastry brush, brush the inside of the bottom crust with the egg wash.
Pile the filling into the crust; the crust should be very full. Roll out the top crust, and lay it atop the filling. Cut off the excess around the sides, and fold the dough over, crimping the edges. 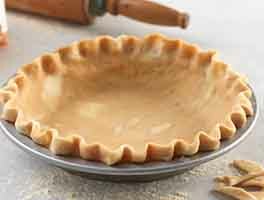 Poke holes in the top of the pie crust to allow steam to escape, and brush the top of the crust with the egg wash. Sprinkle with granulated sugar. Place the pie on a cookie sheet that you've covered with foil. 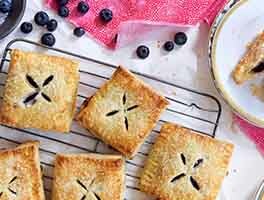 Put the pie into a preheated 350°F oven, turn the heat to 450°F and bake for 15 minutes, then reduce heat to 375°F and bake for about 45 minutes, or until the crust is a deep, golden brown; you'll see juice bubbling out of the crust. Remove the pie from the oven, and let cool on a wire rack. Store, covered, in the fridge for up to 5 days. We used the double pie dough recipe, but mostly followed the filling recipe. One change was that used about 2/3 the sugar, as it was a tad too sweet the first time we made it. Would very much recommend! This is by far the best tasting apple pie I ever made. This is the only apple pie recipe I have used for several years and everyone loves it.